The largest U.S. insurer, UnitedHealth Group, just announced that it may withdraw from the exchanges in 2017. The insurer currently offers plans in 34 states and covers more than 500,000 people through the online marketplaces. But it’s expecting $700 million in losses on its exchange business this year. UnitedHealth’s decision is only the latest setback for Obamacare. Premiums and deductibles for policies sold through the exchanges have soared. The young and healthy — who must buy insurance for the law’s finances to work — are spurning coverage altogether. 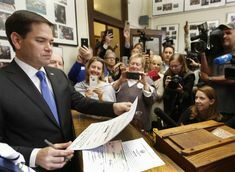 Sen. Marco Rubio reportedly said he plans to release his controversial spending records from his time in Florida’s House of Representatives. "Rubio's narrative...belies a more complicated reality, as the most prominent Hispanic politician in the United States balances his own past with his party's future. Incubated within Miami's unique political ecosystem, mentored by el exilio historico, the old guard, he's risen from Calle Ocho to Tallahassee to Washington. Now Rubio has arrived on the national stage just as U.S.-Cuban relations have shifted dramatically. He wasn’t blowing smoke after all. Vermont Sen. Bernie Sanders introduced a bill in the Senate on Wednesday that would rescind all federal penalties for growing or possessing marijuana — allowing states to determine their own laws. If successful, the Democratic presidential candidate’s Ending Federal Marijuana Prohibition Act of 2015 would remove all references to cannabis in the Controlled Substances Act. This depends, of course, on what year you’re considering, and what you consider to be direct cost overhead for the state as opposed to pass-throughs from the state to cities and counties. But CalPERS overlooks the fact that most of California’s government workers who collect pensions do not work for the state, they work for cities and counties and school districts. As can be seen on the “view CalPERS employers” page on Transparent California, there are 3,329 distinct employer retirement pension plans administered by CalPERS, and the vast majority of these are not state agencies paid from the state budget, but local agencies. Rand Paul Sums Up the Left’s Climate Change Problem: How Much is Man-Made and How Much is Nature? Rand Paul: Man might well have an influence on it, the unknown question is how much is man and how much is nature. This is a question I love to ask to the apocalyptic crowd, the alarmists. How much is man and how much is nature? Do you acknowledge nature has been changing the climate, nature has had an atmosphere with much higher Carbon than we’ve had today, and much lower. How much is man? How do you give a proportionality to how much is man and how much is nature? They seem to think it is like 99.99% man, and nothing nature, they don’t even acknowledge the natural climate. The Senate has passed a bipartisan budget plan that averts the debt ceiling and sets funding levels for the next two years, 64 votes to 35. The bill now heads to President Obama’s desk, where he is expected to sign it ahead of Tuesday’s debt ceiling deadline. The budget plan suspends the debt ceiling until March 2017, allowing the government to borrow money without restriction until then. It also increases spending by about $112 billion over the next two years, offsetting that spending in part by tweaking entitlement programs and selling off petroleum reserves. In an unusual move, the Senate reconvened at 12:01 am Friday, the earliest time at which they could have returned to session on this particular bill, to begin voting to pass the deal. But because of a Senate rule, they couldn’t actually vote to end debate on the measure until one hour after they convened, at 1 a.m.
During that intervening hour, several senators took to the floor to make their case for or against the bill. “With this bipartisan legislation, it’s possible to avert a catastrophic default and a mindless sequester,” Sen. Ron Wyden (D-OR) said. Hungarian Prime Minister Viktor Orban accused billionaire investor George Soros of being a prominent member of a circle of "activists" trying to undermine European nations by supporting refugees heading to the continent from the Middle East and beyond. Sen. Rand Paul’s so-called “filibuster” against the budget deal, a move his campaign hyped repeatedly and which the Kentucky senator used as a rallying cry at last night’s debate, wasn’t a filibuster at all. In fact, it wasn’t even a long speech. The presidential hopeful took to the Senate floor at 2:46 p.m. and ended his remarks less than twenty minutes later. Nearly half of the 23 non-profit insurance plans created under Obamacare in 2011 at a cost of $2.4 billion have announced they will close by the end of the year. Constitution Check: Is Obamacare headed for new trouble? Lyle Denniston, the National Constitution Center’s constitutional literacy adviser, looks at the two latest court challenges to the Affordable Care Act, or Obamacare, which involve two constitutional clauses. 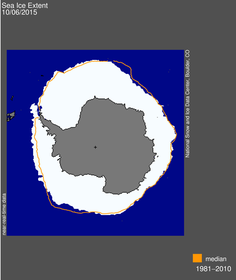 Antarctic sea ice extent reached its likely maximum for the year, at 18.83 million square kilometers (7.24 million square miles) on October 6, 2015. This year’s maximum was the sixteenth highest in the 35-year record. It was 120,000 square kilometers (46,000 square miles) above the average maximum daily extent computed over the 1981 to 2010 period of 18.71 million square kilometers (7.19 million square miles), and 1.33 million square kilometers (514,000 square miles) below the record maximum set in 2014. The date of the maximum was quite late in comparison to the 35-year satellite record. Only one year, 2002, has had a later maximum (October 12). At the date of the 2015 maximum, Antarctic sea ice extent was greater than average in the Antarctic Peninsula region, the Weddell Sea, and the Wilkes Land coast area; and below average in the Ross Sea and Indian Ocean sectors. The only gun store in San Francisco is shuttering for good, saying it can no longer operate in the city's political climate of increased gun control regulations and vocal opposition to its business. "It's with tremendous sadness and regret that I have to announce we are closing our shop," High Bridge Arms manager Steve Alcairo announced in a Facebook post on Sept. 11. "It has been a long and difficult ride, but a great pleasure to be your last San Francisco gun shop." Alcairo said the breaking point came this summer when a local politician proposed a law that would require High Bridge Arms to video record every gun sale and submit a weekly report of ammunition sales to the police. If passed, the law would join several local gun control ordinances on the books in a city still scarred by the 1993 murder of eight in a downtown high-rise and the 1978 assassination of Mayor George Moscone and gay rights activist Harvey Milk. Senator Rand Paul took the floor of the Senate earlier today and blasted the budgeting process, in a blistering speech ahead of a vote on a continuing resolution that would keep the government open until December. Paul slammed everything from the rolling of all 12 appropriations bills into an omnibus bill to the increasing national debt. He started by quoting “Cool Hand Luke,” saying “we have a failure to communicate.” He attacked the Republican leadership for continuing to deficit spend and suggested a new approach. “All spending is set to expire automatically. This is the perfect time to turn the tables. To tell the other side that they will need 60 votes to affirmatively spend any money,” said Paul. Louisiana Gov. Bobby Jindal played undercover videos of Planned Parenthood executives for pro-choice demonstrators that had gathered outside of the governor’s mansion Thursday. Planned Parenthood of the Gulf Coast planned the rally to protest Jindal’s decision to terminate the state’s Medicaid contract with the organization. Jindal ended the contract in light of videos released by the Center for Medical Progress depicting Planned Parenthood officials discussing the sale of fetal organs at the organization’s affiliates. Spokespersons for Planned Parenthood have denied wrongdoing, and condemned the Center for Medical Progress as “anti-choice extremists” and their videos as “heavily edited.” They have said they donate rather than sell “fetal tissue” to researchers. Profiting from the sale of human organs—including fetal human organs—is illegal in the United States. 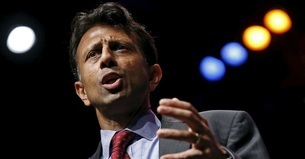 Jindal announced Thursday his office would play the videos for the protestors. Social Security just had its 80th birthday. It was signed into law by President Roosevelt on August 14, 1935 -- and it has been one of the most successful federal programs ever created. It was designed to lift elderly Americans out of poverty by providing them a retirement income, and it has lowered the numbers of seniors in poverty from over 50% to under 10%. And it hasn't cost the American taxpayers a single penny, nor has it added a single penny to the deficit or the national debt. That's because it's paid for by a payroll tax that is split between the employer and employee (with each paying half). 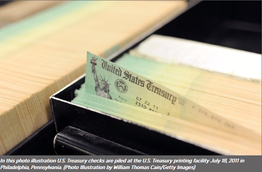 Friday marks the 80th anniversary of President Franklin Roosevelt's signing of the Social Security Act, meant to enable the elderly and jobless to avoid poverty. 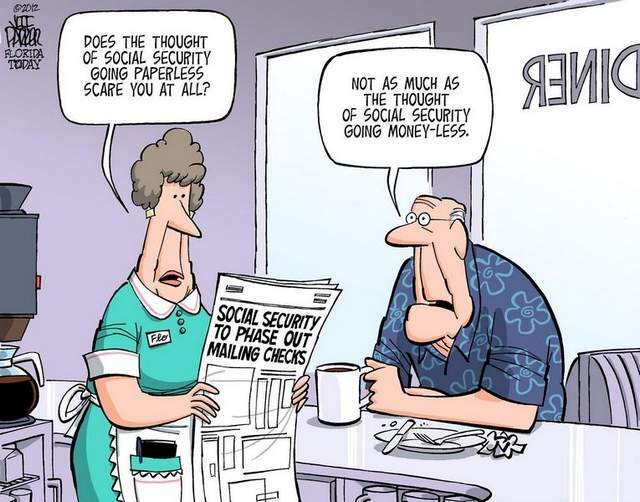 Over time Social Security has evolved, and currently the government owes over half a million dollars per taxpayer in unfunded liabilities to Social Security. SACRAMENTO -- Proponents of a California pension initiative said Tuesday that state Attorney General Kamala Harris is once again favoring labor unions by using the same words she used to describe their previous failed bid to limit taxpayer spending on public pensions. WASHINGTON (AP) -- State-run health insurance markets that offer coverage under President Barack Obama's health law are struggling with high costs and disappointing enrollment. These challenges could lead more of them to turn over operations to the federal government or join forces with other states. Hawaii's marketplace, the latest cautionary tale, was awarded $205 million in federal startup grants. It has spent about $139 million and enrolled 8,200 customers for individual coverage in 2015. Unable to sustain itself, the state marketplace is turning over sign-ups to the federal HealthCare.gov for 2016. About 24% of Bay Area residents list the California drought as the top concern for the region, the poll determined. Other problems related to quality of life were left in the dust, well behind the concerns about the drought in the Golden State. A distant number 2 on the list of concerns was the cost of housing, with 15% of respondents listing that as the top problem. No. 3 was the cost of living, with 14% listing that as the top problem, according to the poll. San Diego cases of tuberculosis are double the national average health officials say, raising again the question of the role of illegal immigration in the spread of very serious like tuberculosis (TB) in the United States. Earnest again trotted out the “procedural SNAFU” line after Friday’s stunning events on the House floor, and there’s at least some merit to that line. Putting Trade Adjustment Assistance in a separate vote was meant to give Democrats a chance to vote for what they wanted, Republicans a chance to vote for what they wanted and everybody would go home happy. Indeed, it was a procedural package Pelosi appeared to have signed off on, having negotiated a deal that intended to strip Medicare cuts via the rule. But crusty House Democrats knew they could slow down Trade Promotion Authority, the so-called “fast track,” by killing TAA, and so that’s what they did. Pelosi’s shocker of a speech was the final twist of the knife for a White House that had been counting on her — as they have again and again and again — to deliver the votes. Any day now, the Supreme Court is expected to hand down a ruling in a case that could unravel President Obama’s Affordable Care Act. In a speech on Tuesday, the president said he expects the justices to keep the law intact. Fast-tracking the TPP, meaning its passage through Congress without having its contents available for debate or amendments, was only possible after lots of corporate money exchanged hands with senators. 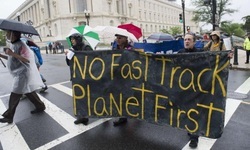 The US Senate passed Trade Promotion Authority (TPA) – the fast-tracking bill – by a 65-33 margin on 14 May. Last Thursday, the Senate voted 62-38 to bring the debate on TPA to a close. The Environmental Protection Agency, in announcing the finalized Clean Water Rule along with the Army Corps of Engineers, said the changes mark a "historic step for the protection of clean water" and would help roughly 117 million Americans who get drinking water from streams not clearly protected before these regulations. The rule would clarify which smaller streams, tributaries and wetlands are covered by anti-pollution and development provisions of the Clean Water Act. But the rules have run into deep opposition from farm groups and the Republican-led Congress. The House voted to block the regulations earlier this month, and a similar effort is underway in the Senate. Critics argue the rules could greatly expand the reach of federal regulators, making every stream, ditch and puddle on farmers' and others' private land subject to federal oversight. Before heading home for a congressional work period, the U.S. Senate passed a major trade bill, giving President Obama a victory on the trade front. The bill to renew Trade Promotion Authority passed by a vote of 62 to 37, with 14 Democrats joining the majority of the chamber’s Republicans. TPA provides Congress the authority to give trade agreements an up or down vote but not the ability to amend the pacts. President Obama praised the bipartisan vote, calling it an important step toward ensuring the country’s ability to negotiate and enforce trade agreements. Critical Thinking Comment: The take away here is "TPA provides Congress the authority to give trade agreements an up or down vote but not the ability to amend the pacts." This disenfranchises the Rights of the American voter by effectively muzzling their elected representative by NOT allowing debate and amendments. Furthermore it keeps the American voter uninformed. This is NOT the governmental balance and separation of powers that our Founding Fathers intended. In the fevered debate over international trade, the Trans-Pacific Partnership and trade promotion authority have been used almost interchangeably. But in the end, they are not at all the same thing. Simply put, the Trans-Pacific Partnership (TPP) is a major international trade deal between 12 countries that began negotiations in 2010. The deal includes some major players and will impact a considerable portion of the global economy. Therefore, it has attracted a lot of attention, both positive and negative. Authorities have revoked the tax-exempt status of nonprofit Blue Shield of California, potentially putting it on the hook for tens of millions of dollars in state taxes each year. TEL AVIV, ISRAEL: In a nearly unprecedented move, Israeli Prime Minister, Benjamin Netanyahu has endorsed a candidate in the 2016 race for President of the United States. Netanyahu made his announcement during an early morning press conference Friday. Traditionally, the protocol among heads of state has been to steer clear of any and all political endorsement of other candidates or incumbent heads of state, and to not in any way be involved in the elections of other nations. But perhaps being fueled by anger after recently learning that current U.S. President, Barak Obama has at US taxpayer expense, sent a team of his political operatives into Israel ahead of Israel’s March 17, 2015 elections in an effort to unseat Netanyahu, the Israeli Prime Minister has broken the long standing protocol and gotten involved in the US presidential race. The Israeli newspaper, Haaretz recently reported that a U.S. taxpayer-funded non-profit by the name of OneVoice has been working inside Israel with a campaign operation called Victory 2015 in a joint effort to unseat Prime Minster Netanyahu, who they view as being“too anti-Islam” and “too hawkish”. Spokespersons for the operations say they intend to replace Netanyahu with a more “liberally progressive” candidate who will be more accommodating to the desires of Islamic nations in the region. 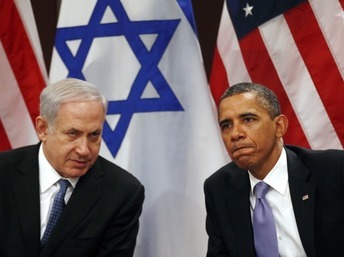 The political fallout in the U.S. as well as around the world over Obama’s snubbing of the Israeli leader, and especially Obama’s overt campaign efforts to unseat Netanyahu has been intense. Undoubtedly, such an unprecedented endorsement will have a major affect on the presidential race as 2016 draws near. It’s as yet unclear what if any affect Obama’s efforts will have against the Prime Minister, since his (Obama’s) is not an official endorsement of an opposition candidate, though Haaretz reports that it may have a significant affect.